Marine Corps veteran J.D. Vance made a huge impression during the 2016 election cycle when mainstream media decided that his memoir "Hillbilly Elegy: A Memoir of a Family and Culture in Crisis" offered insight into the frustrations of working-class voters. The book became a #1 non-fiction bestseller, and there was talk of Vance running for an Ohio Senate seat in 2018. Vance credits his military service for giving his life the structure he needed to succeed. He later went on to graduate from Yale Law School before becoming a venture capitalist. 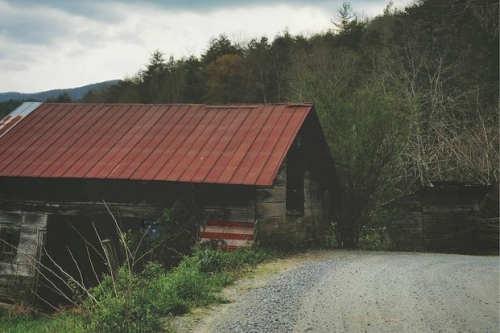 Despite all the "insight into America" baggage loaded onto him by the political media, Vance's book is an incredibly personal reflection on his relationships with family and the struggles faced by the real Appalachian poor folks in his life. "Hillbilly Elegy" is not about the Appalachian Poor, it's about J.D. Vance. Now Netflix is putting up money for a movie and the project is loaded with Oscar-winning and Oscar-nominated talent. Amy Adams will play Vance's troubled mother Bev and Glenn Close will play the beloved Mamaw who raised him. Adams has been nominated for six acting Oscars (most recently for playing Lynne Cheney in "Vice") while Close has been nominated seven times (most recently for "The Wife.") They're in exclusive company: Peter O'Toole was nominated eight times and never won, while Richard Burton got seven nominations without ever winning. Ron Howard (who won the Oscar for producing and directing "A Beautiful Mind") will direct from a screenplay written by Vanessa Taylor (Oscar-nominated for writing Best Picture "The Shape of Water"). This is the kind of movie that, if it works, could resonate both with movie viewers already paying for Netflix and the showbiz voters who hand out the awards each winter. There's no word yet on which actor will be playing Vance in the movie. But, if the film follows the book, they will have to cast different actors to play the author at different stages in his life. There are a lot of talented people out there, but there's not anyone who comes to mind who could pull off playing both a six-year-old Vance and the man he'd become twenty years later. No word yet on when the movie will shoot or when it will be released. It will probably have a 2020 debut.